The post mortem on a baby that was stillborn following an alleged assault on a woman in Kerry over the weekend has taken place but gardai say that 'further tests are required'. In a statement this evening, Gardai confirmed that the post mortem took place today before adding: "Further tests are required and it will be a number of week before we have an outcome." Gardaí are still investigating an incident in Listowel, Co Kerry in which a woman who was around 32 weeks pregnant suffered an alleged assault within the vicinity of a house in the town on Saturday evening. The woman is in her 30s and a mother to other children. 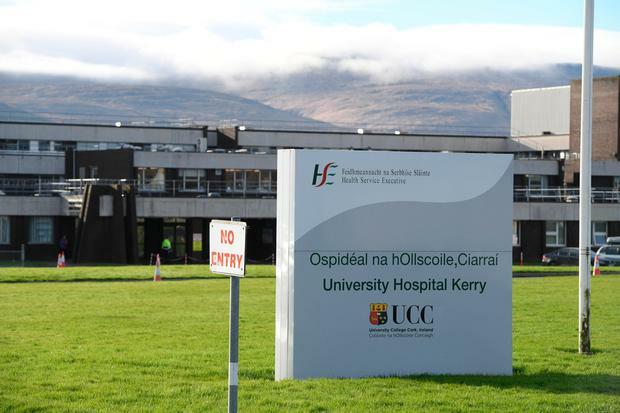 She attended University Hospital Kerry (UHK) in Tralee, Co Kerry on Sunday for treatment to her injuries. Sources told Independent.ie that she suffered significant bruising to her abdomen and other parts of her body. Following the incident, it is understood that the woman delivered her baby in the next 26 hours at the hospital in Tralee, but the infant girl was stillborn. Gardaí travelled to UHK when the nature of the woman’s injuries became known. The post mortem was to be carried out in UHK today by Dr Margot Bolster as well as a perinatal specialist who was called in to determine the cause of death of the baby girl. It is understood that the final results will determine the nature of the Garda investigation. A 24-year-old man was arrested at an address in Kerry on Sunday in relation to the incident. He was detained under Section 4 of the Criminal Justice Act and questioned in regards to an alleged serious assault. He was questioned throughout the day and was released on Monday evening without charge.